If you’re wondering “What is Keyword Stuffing?” you have probably been reading lots of articles about what keyword stuffing is. “What is Keyword Stuffing” can be answered lots of ways, but you have to look at examples to know what keyword stuffing is. 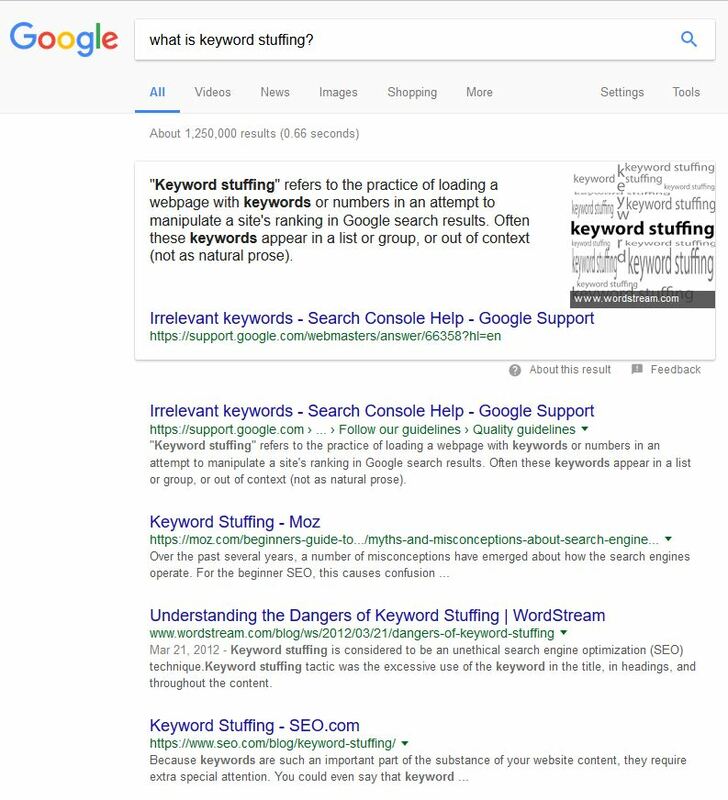 Google, for the last several years, has officially claimed that keyword stuffing is bad for SEO. So the question “What is Keyword Stuffing” is useful then only to the extent that it can help SEOs and content writers avoid keyword stuffing for SEO. If you want to know what is keyword stuffing, it is what this article is doing. 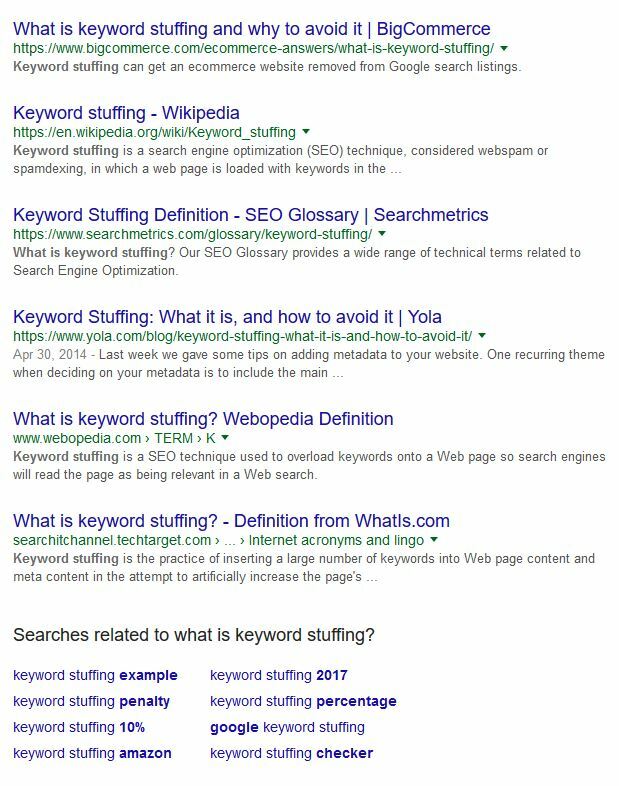 I am deliberately using keyword stuffing to see if keyword stuffing can work for SEO in 2017 despite what Google says. Just as an experiment. 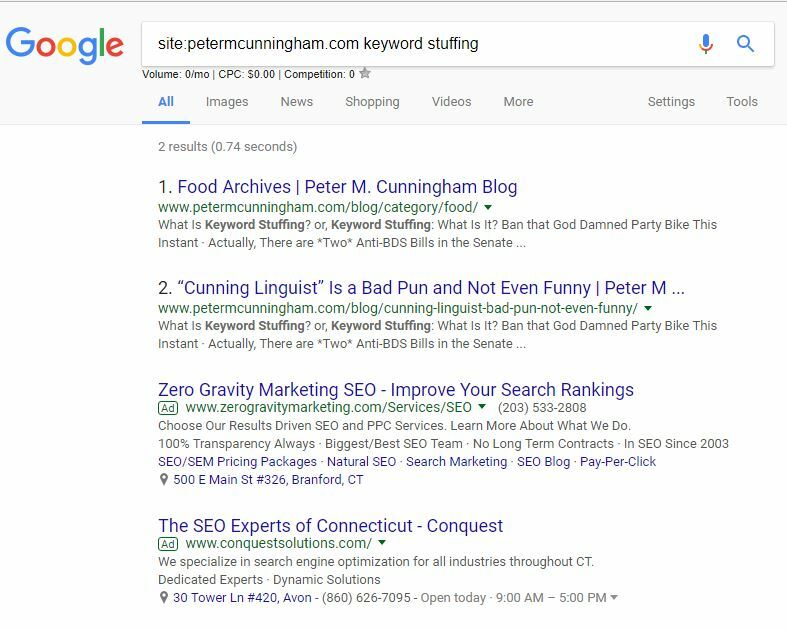 I know that no matter what, this blog post will never be on the first page for “what is keyword stuffing?” Those page one results are chock full of useful, informational articles from highly authoritative sites. This is not any of those things! But if I can get anywhere on the first ten pages or so, it would at least demonstrate that the penalty against keyword stuffing is not so extreme as some would have you believe. Stay tuned! After initial publication, it ranked at the bottom of page three. Not too shabby, considering. Ranks slipped steadily from there. Yesterday it was sitting at #52. The conclusion? 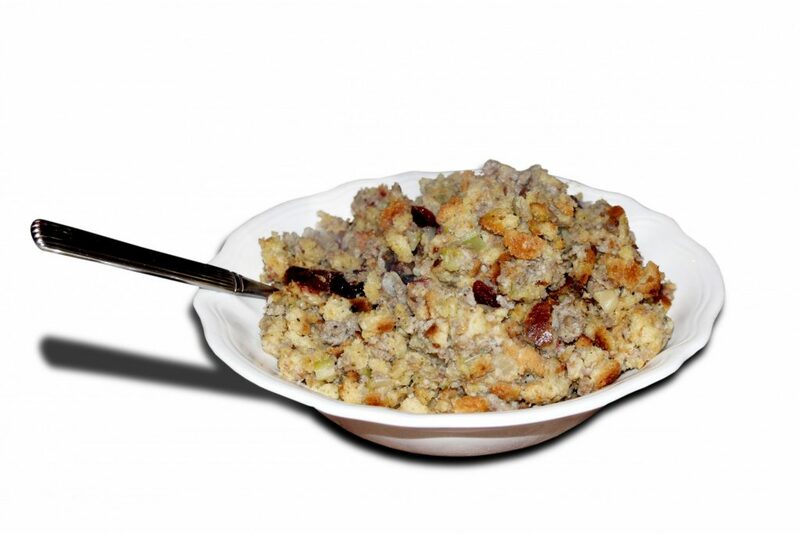 Keyword stuffing is as bad as they say it is. I guess I probably didn’t need to do an experiment to establish that. I can’t remember exactly what I searched for but this page was position 3…maybe keyword stuffing does work?